Everyone's seen the hexagonal glitter and sequins (glequins) rocking the nail world. Oh you haven't? Well...look at The Nailasaurus and Polish All the Nails. They know what's up. It seems that the opaque metallic glitter is everywhere, so I wanted to review the clear sheets of glitter for you today from Born Pretty. This package of 12 colors does come with two solids (gold and silver), but the other ten aren't opaque, and see-through like flakies. 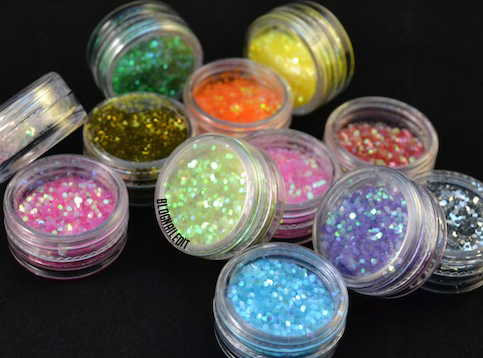 The pots are smallish, but there's SO much glitter it's a bit insane. I have no complaints about it, and recommend them if you're interested at all in glequins. Especially at only $6.03 for all 12. I decided to use five of the colors on my five nails, and yes, they're Christmas colored. Fall ended really quickly, and winter's here, and I AM READY. So this is officially my first Christmas mani. 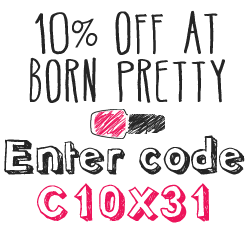 If you're thinking of buying anything from Born Pretty, like these glequins, then don't forget to use my 10% off coupon code: C10X31. These products were sent to me by Born Pretty. The reviews are based entirely on my experience with the products and were in no way influenced by anyone. How do you get them on so evenly? How long does it take for a full mani? Sammy at The Nailasaurus gives a great tutorial on adding glequins to your manicure. You can check it out here. As per the length of time...it took me (and mind you, this was my first time), about 1.5 hours...for one hand...I'm not proud. I love it, especially with 5 different colours. So pretty! On black polish and on white looks the best. I love the way the glitter looks against black polish. I wish I had silver or gold hexagon glitter. Wowee! What a super mani - you have skills!... Even if it did take a while lol :) Will have to look out for these! I love this! I've done this before but only on one nail - it looks great but it takes forever haha! Love 'em! does take ages though! this must have taken YEARS! How do you have the patience!! need to buy some Glequins! This manicure is just BEYOND amazing, so beautiful! Reminds me of stained glass windows in a church! Gorgeous! 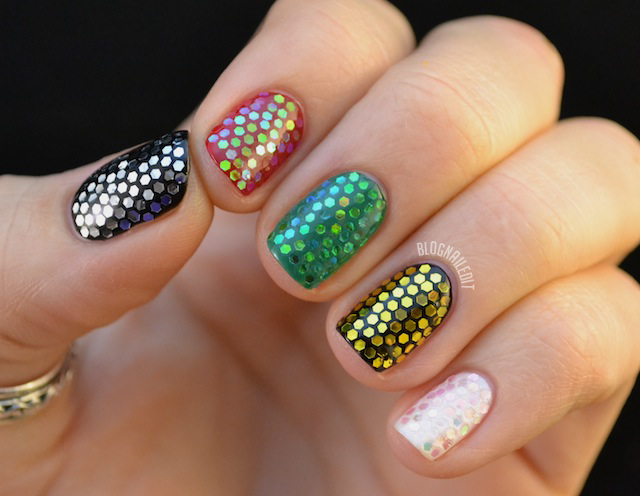 Any glitter placement mani - from you or from anybody else - blows my mind O_o !